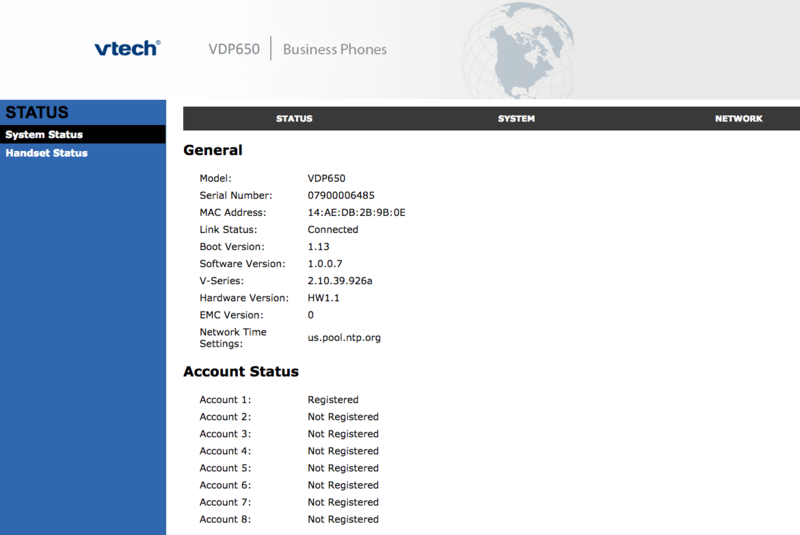 This guide will walk you through registering one of VTEC's Eris Terminals to a SIPTRUNK trunk. 1. Get your Eris Terminal plugged in and a connected to your network. 2. 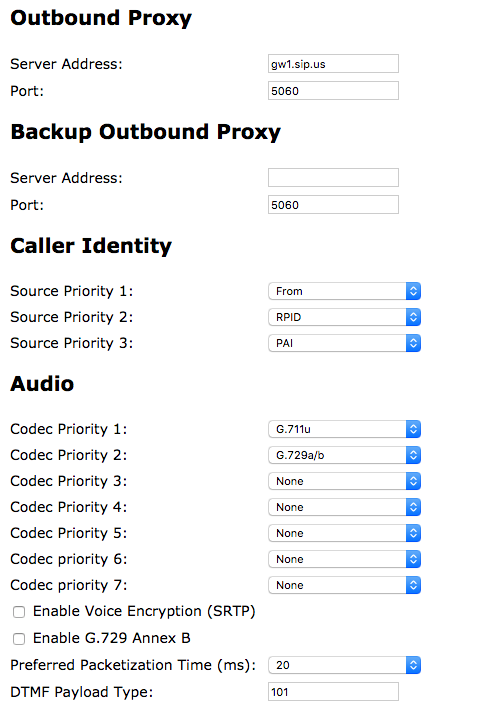 Register an endpoint (whether that be an Eris Terminal or a Handsfree set) by following the on screen instructions. 3. 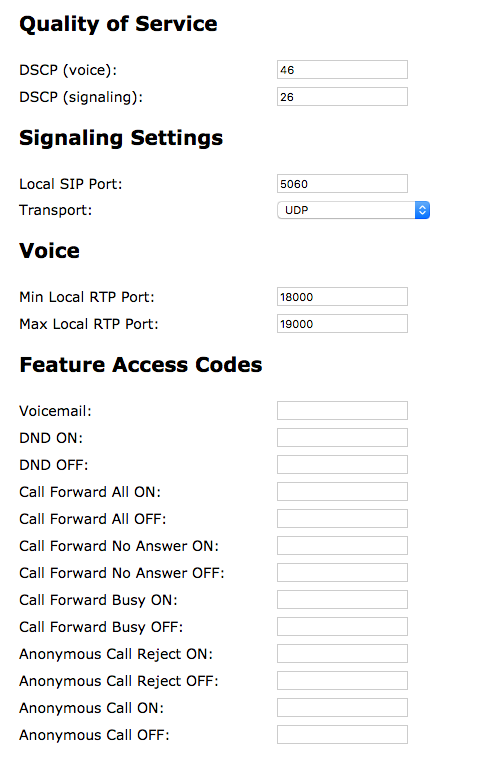 On your registered endpoint, navigate to Menu --> Status --> Network to find the IP address of the Eris Terminal. 4. Open a web browser on a computer within the same local network as the Eris Terminal and enter the IP address into the address bar. 5. Use the credentials admin//admin to access the Admin Gui of the Eris Terminal. Make the 1st priority From followed by RPID then PAI. 7. 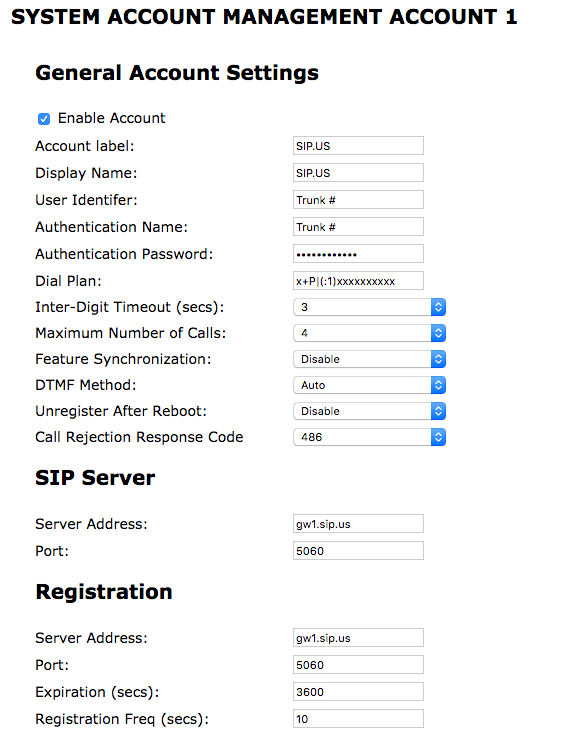 In your SIPTRUNK account, you will need to navigate to SIP TRUNKING --> SIP TRUNKS, click on the 'Modify trunk' button for the trunk you are registering to, and set 'Contact Override' to 'NO'. Any DIDs on this trunk will be routed to this 'Account' within the Eris system. You can route which accounts ring which endpoints within the GUI under 'Account Assignments'. If you need to have multiple phone numbers ring separate endpoints, you will need an account registered to a unique trunk for each. 8. Congratulations, your trunk should now be registered and your Eris System should make inbound and outbound calls!